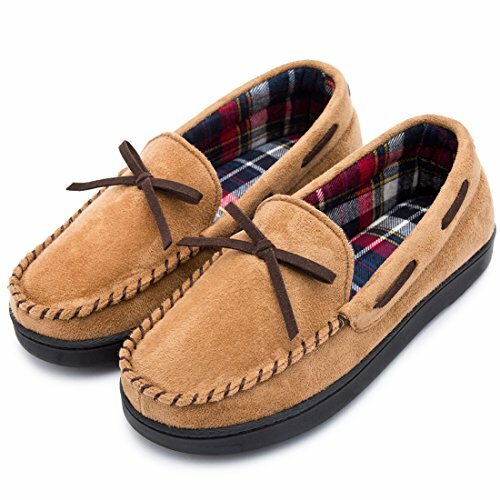 The word "moccasin" comes from makazin in the language spoken by the Ojibwa Indians of northern Minnesota. It was here that our founder, Kevin Lace, found inspiration for our classic moc slippers. While on a birding trip near Duluth during mid-April, Kevin spotted a herd of bull elk undergoing molting, a process where the animals shed their winter fur ahead of the summer. The lighter, almost-blondish color of the elk's fading winter coat contrasted beautifully with the emerging dark brownish color of their summer coat. This sharp contrast inspired the design of the back collar and body of the RockDove moccasin, originally available only in moosehide brown.